Two men have been arrested in Lancashire, UK for trying to disarm and prevent Saudi-bound warplanes from taking off and delivering weapons that they say would be used to bomb Yemen. They are being held on suspicion of criminal damage. 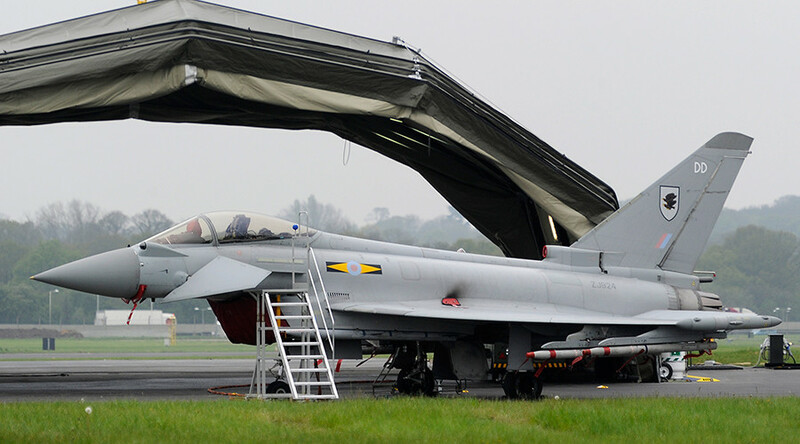 The two men detained on Sunday had somehow gained entry into the BAE Systems site in Warton, where the planes were reportedly awaiting departure. The men – Reverend Dan Woodhouse, a Methodist minister in Leeds, and Sam Walton, a Quaker – say their actions were intended to “save lives,” in a statement on Facebook. The activists say the jets were intended to replenish Saudi Arabian weapons supplies, to be used on Yemen. “Stopping or even delaying Saudi Arabia having more planes with which to bomb Yemen would save innocent lives and prevent war crimes,” Rev. Woodhouse said. “We do not take these steps lightly, but we have no other option. We have been active in opposing the arms trade to Saudi Arabia for years, and in the face of willful government denial that there is a problem with arming Saudi, including willingness to suspend our own due process of law, and complete unwillingness to consider stopping arming Saudi Arabia, we must take this action,” Walton added. Police in Lancashire are now investigating with the aid of BAE Systems, a company spokeswoman said. The planes the men intended to disrupt were Eurofighter Typhoons and Tornadoes. BAE also supplies the Saudi regime with Hawk jets, which are used to train the Royal Saudi Air Force. According to the two activists, the planes were scheduled for imminent takeoff. The incident comes on the heels of a UN panel investigation which concluded that the actions of the Saudi-led coalition may amount to a war crime. The investigation tackles a particular spate of air strikes that were directly responsible for the deaths of at least 292 civilians. The Yemen campaign has claimed over 4,000 lives since commencing in March 2015. There have also been accusations by HRW in a separate report that the campaign may deliberately be targeting civilian infrastructure. 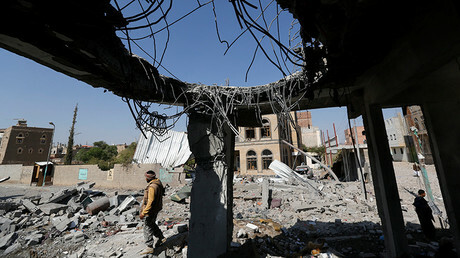 Additionally, the investigation found that the coalition-imposed naval and aerial blockade in Yemen is contributing to a humanitarian disaster in the country, as it prevents the delivery of vital supplies like fuel and medicine, and makes relief efforts more difficult. Although the Saudi-led coalition had by then established a committee to look into their own human rights violations, the UN High Commissioner for Human Rights has since found its investigations not consistent with the evidence in certain cases.